How Do I Develop My Palate? 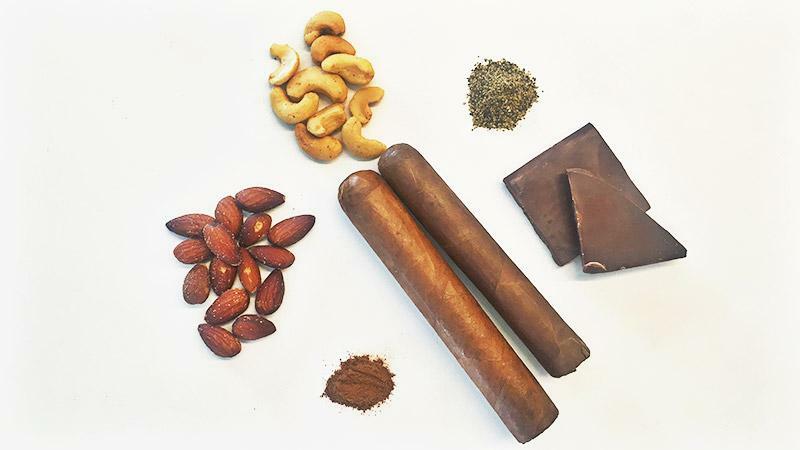 There is no definitive method for developing your palate, but there are a number of techniques that new cigar smokers should try in order to better understand the taste of a cigar. Cigar Aficionado spoke with veteran tobacconist Michael Herklots, vice president of retail and brand development at Nat Sherman, to get his advice on the matter. According to Herklots, the best way to start is by taking broad strokes. Familiarize yourself with the distinctions between basic cigar categories and develop preferences on aspects like origin, wrapper color and size. "The more one pays attention to what they select, the more they're able to split hairs," says Herklots. "Preferring Dominican versus Nicaraguan, darker wrappers over lighter colored wrappers, fat cigars and thin cigars." The most important part, however, is to keep track of what you're tasting. Keep a cigar journal and take note of what you like or what you don't like about the cigar you are smoking. As you smoke more, try to link a particular characteristic to a similar group of cigars. Herklots recommends you ask questions such as "Was it hot or cool? Did it dry your mouth? Did it taste good or bad. And were there any familiar flavors that reminded you of anything you've had before?" Herklots' final suggestion: Don't go at it alone. Shop at a retailer that's willing to assist you on your journey of tasting cigars. "That way," says Herklots, "they can not only keep track of what you purchase, but can also make sound recommendations based on your experiences. For you, cigars are a hobby. For us, we've made our hobby our profession."